Michele Bollo stood on Harbor Drive Pedestrian Bridge, close to the US Navy base in Point Loma, San Diego, looking through a video camera trained on a network of pens in the water below. The nine-by-nine-meter ocean corrals held 70 dolphins and 30 sea lions belonging to the US Navy Marine Mammal Program (NMMP). Bollo was there to document how the navy treated the animals. One animal, a 46-year-old bottlenose dolphin named Makai, once deployed to find mines in the Persian Gulf during the 2003 Iraq War, was sick and unable to swim. To keep him from drowning, veterinarians had placed him in a full-body flotation device. A few months later, Bollo recorded another dolphin encased in the same outfit. Through the scorching sun and freezing wind, the 65-year-old California retiree filmed Makai and the other dolphin for over five months in 2016 and 2017. The concept of using sea creatures in navy pursuits may not sit well with many animal lovers, but military animals have a long, and often glorified, history: from the war horses that were key to Genghis Khan’s victories, to the carrier pigeons delivering messages over the heads of soldiers in the First World War, to the transport donkeys in Afghanistan today. Dolphins joined the military ranks in the latter half of the 20th century in the United States, Russia, and Ukraine. 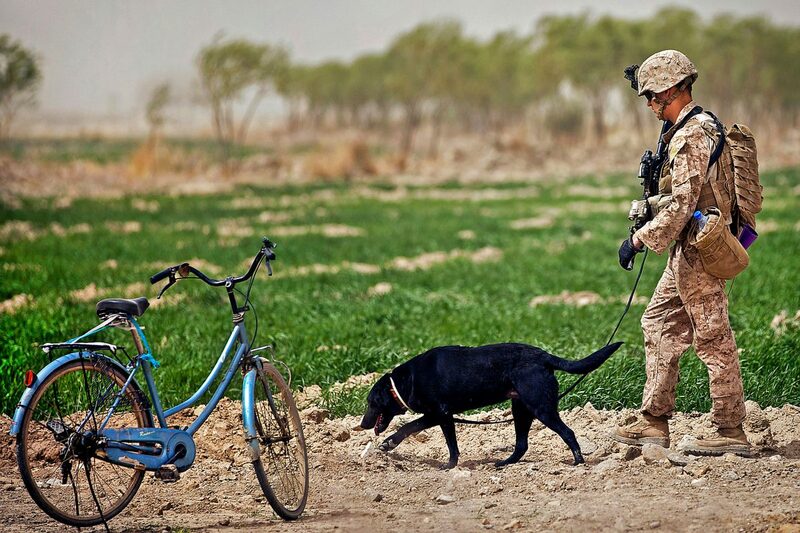 One of the most celebrated military animals is the dog. The US military employs sniffer dogs in a variety of situations similar to those in which it uses dolphins—to locate land mines and enemy troops, for example. Conscripting dogs is routine. So why should dolphins be seen differently? Andrew Fenton, a philosopher who studies animal ethics at Dalhousie University in Halifax, Nova Scotia, has a more nuanced viewpoint. Unlike humans, who voluntarily join the military service or consent to testing, the animals have no choice, he says. We subject them to our needs, oftentimes plucking them from the environment they’re familiar with and putting them in an unfamiliar and possibly stressful situation. We have no idea if they benefit from partaking in missions or research. And while the navy sometimes describes its dolphins as underwater sniffer dogs, Fenton points out a problem with that comparison. Dogs are domesticated. Dolphins are not. Humans can provide a socially rich world for dogs, but doing the same for dolphins is more complicated, he says, adding that dogs and humans have had a lengthy relationship, somewhere between 20,000 and 40,000 years. “We shaped these animals to live in close quarters with humans and we artificially selected dogs to be part of our social world, and so, we can be part of their social world,” Fenton says. Maybe given enough time, we could create a cetacean breed that fits that criteria, yet that’s difficult to predict. But the more pressing question is, should humans domesticate dolphins? If we did, we would have to severely narrow their world. “And this, in bioethics, we call harm,” Fenton says. Dolphins and other marine mammals are sentient beings that comprehend their world and experience a wide range of emotions, Fenton says. They are also highly intelligent—which is what inspired the creation of the NMMP. At first, the navy looked to dolphins for design inspiration for military hardware. “The interest began with the lousy performance of torpedoes in World War II,” says Rothe. Dolphins, with their hydrodynamic shape and speed were seen as good physical models to help the navy design efficient torpedoes. The navy also noticed that dolphins rode bow waves in front of ships to propel themselves forward, a hint as to their cognitive skills, and inspired the navy to consider their potential as military animals, useful for missions that are impossible for hardware and too dangerous for divers. Around 1960, the navy had acquired dolphins, which scientists and trainers started taking for “walks” in a lagoon. The cetaceans would swim alongside a fast-moving boat and were trained to dive deep to retrieve an object. Researchers studied the animals’ physiology. The navy was among the first to discover dolphins’ ability to echolocate, applying that knowledge to build better sonar. 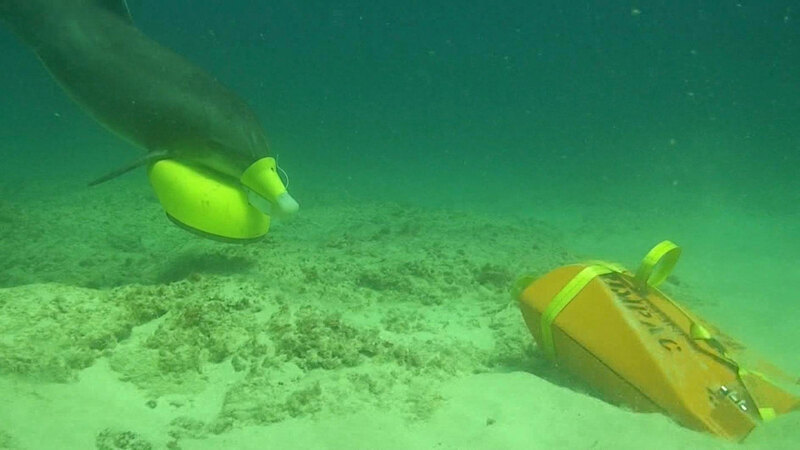 The navy also realized they could train dolphins to detect what the military perceived as threats, and they taught the animals to find underwater mines and spot foreign objects in the water, such as remotely operated spy vehicles and enemy divers. The animals became valuable assets in the nation’s defense system, their abilities a good fit for security tasks, including patrolling harbors. The US Navy released this short film about its marine mammal program in 1964. Navy dolphins have worked outside the country, too. 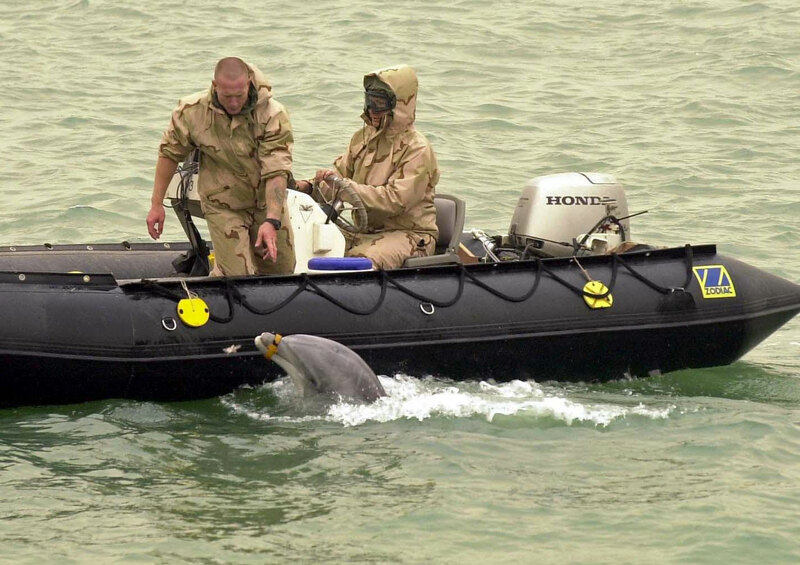 During the 2003 Iraq War, the navy sent Makai and another dolphin named Tacoma to Iraq. In the murky waters of Umm Qasr Port, the two dolphins helped clear the way for ships carrying humanitarian aid. The water was so opaque that divers likened the search for mines to “crawling around in mud with your eyes shut.” But dolphin sonar worked just fine. They were trained to recognize the mines’ shape but not to touch them. Instead, they returned to humans, grabbed a floatable marker, towed it back to the mine, and left it behind to tag the danger zone. According to Rothe, the navy’s program has helped develop the science and practice of marine mammal medicine and care, and has published over 1,500 scientific papers. In 2007, the navy collaborated with an NMMP founder, scientist Sam Ridgway, and retired navy captain, Chris Ott, to create the National Marine Mammal Foundation (NMMF), a nonprofit organization. 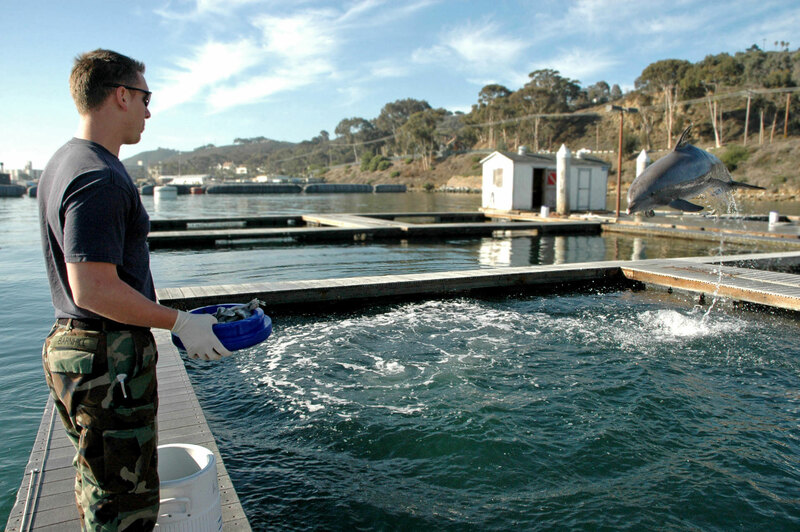 The NMMF provides research, animal care, and veterinary services to the navy’s marine mammals. NMMF scientists have published over 200 research papers. In 2011, the NMMF joined the federal government’s efforts to investigate the effect of the Deepwater Horizon oil spill on the Gulf of Mexico dolphins. And in 2017, the NMMF also helped try to save the last few vaquitas in the Gulf of California, albeit unsuccessfully. Their ongoing research with the navy includes studying the impacts of anthropogenic noise on the echolocation and hearing of navy dolphins (and sea lions, another military sea mammal), which informs efforts to reduce negative impacts on wild marine mammals. The price on these services is high. According to various sources, between 2012 and 2019 the price tag for dolphins’ upkeep may hit US $75-million, with about $39 million designated for the veterinary services. Rector’s disdain for the navy dates back to the 1960s, when he started working at Ocean World in Fort Lauderdale, Florida. He was a 20-something dolphin trainer when a few representatives from a government agency showed up. He recalls that they wanted to see how trainers taught and fed their subjects. In particular, they wanted to know how to put vitamins and other substances into the dolphins’ fish. Rector asserts that the men wanted to learn the techniques to understand how to get dolphins addicted to a substance to ensure the animals would always return to their base to get their fix. Rector scorned the idea. “One, no dolphin trainer is going to work with junkie dolphins,” he told the men. Nor is an addiction needed, he added—a fish reward is enough. Rector left Ocean World in 1975 and remade himself into an advocate for captive marine mammals—in aquariums, amusement parks, and naval bases. He made it his mission to close Ocean World, which finally shuttered 20 years after he left. In 1990, with another dolphin supporter, Rector entered the navy’s offshore testing area in Florida to stop a naval explosives exercise, which he believed would put the marine mammals in harm’s way. The navy contractors tried to remove the activists, and Rector insists they intentionally hurt him while doing so. Over the years of gathering documentation from various sources, making Freedom of Information Act (FOIA) requests, and having personal encounters, Rector assembled a long list of the navy’s wrongdoings, dating back to the program’s very beginning. He says the navy managed to get an exemption from the Marine Mammal Protection Act (MMPA) to take animals from the wild. In 1992, he says Congress directed the navy to stop the program and release the animals, an order the navy ignored. The NMMP rebuffs these claims. Rothe explains that in 1986, Congress authorized the navy to take up to 25 marine mammals a year from the sea “for national defense purposes” without an MMPA permit—but other organizations had to sign off. 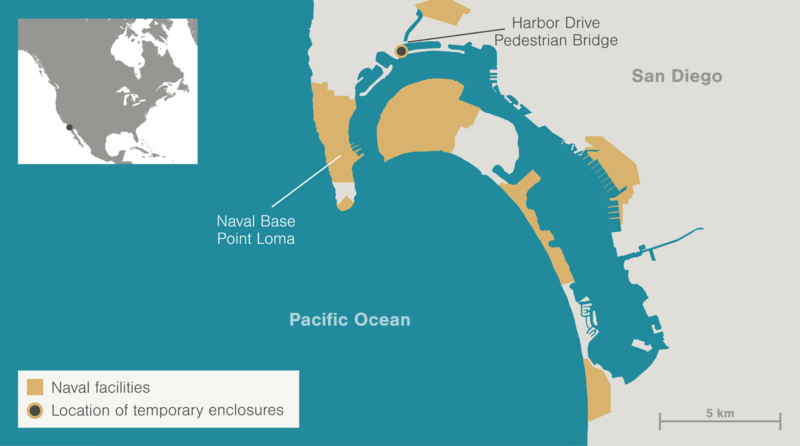 The National Oceanic and Atmospheric Administration (NOAA) Fisheries and the Marine Mammal Commission reviewed the navy’s request and assented to the plan. Rothe adds that the navy doesn’t embark on cetacean-grabbing sprees. Today, there are close to 80 bottlenose dolphins in the navy program, with the last live captures taking place in 1989. And, in 1992, Congress directed the navy to spend $500,000 to develop procedures on how to release dolphins back into the wild. The navy, however, also did a study overseen by the American Zoological Association and concluded that the number of animals suitable for release was so small that it was cheaper to keep them under human care for the rest of their lives. To release dolphins successfully is a challenging undertaking: humans have to teach the animals to live in the wild again, a feat no one has successfully accomplished. For creatures that have never foraged or hunted—nor been hunted by their natural predators—navy dolphins would need lots of training and sheer luck to survive in the vast and dangerous ocean. “It’s not like we can take them to the Gulf of Mexico, open the gate, and say, ‘See you guys, and good luck,’” Rothe says. “We would have to have a location where we could see that they can eat live fish again and release them into a place where you knew they would be safe—so you’d need to have a monitoring program.” And that’s very expensive, he says. History shows that such attempts can easily fail. In the early 1990s, the navy turned over three of its dolphins to a private facility in the Florida Keys. Activists released two of the dolphins, but the animals couldn’t cope: one showed up at a marina begging boaters for fish and the other surfaced two weeks later, severely emaciated since it had no idea how to forage for food. If there is one point both Rector and Rothe agree on it’s that the project failed miserably. For facilities ready to retire their captive dolphins, well-designed sanctuaries may be the answer. Baltimore’s National Aquarium is one facility already committed to relocating seven captive dolphins to a safe haven where they can live a more natural life. Some time in 2020, if all goes well, the aquarium will settle on a sanctuary site somewhere in Florida for the seven animals that live in its tanks, says John Racanelli, the chief executive officer of the aquarium. It will have everything a natural sea cove has: ocean water, fish and other marine life, mangroves, and coral reefs. And yet, it will be separated from the rest of the ocean, keeping the dolphins protected from predators and other dangers of the wild they have never experienced in their lives. “[The group] may be the first [captive] dolphin pod to successfully move from the sterile aquarium’s habitat tanks into a vibrant natural home,” Racanelli says. According to Rothe, the navy dolphins’ lives certainly are worth living. He points out that they already enjoy a very sheltered yet stimulating lifestyle—similar or better than what they would experience at a sanctuary. Pens aren’t their full-time living quarters, Rothe says. They’re more like classrooms where dolphins spend the day working with trainers and vets. At night, underwater gates drop down, letting the animals swim and socialize together in larger areas. Also, navy dolphins procreate—in 2017, three dolphins were born in San Diego. “The Navy Marine Mammal Program is the closest thing to a marine sanctuary,” Rothe says, adding that at this point, sanctuaries are theoretical. Some marine mammal experts think navy dolphins are pushed too far. For example, in one study, NMMF researchers subjected bottlenose dolphins to water as cold as 0.2 °C to determine at what temperature their metabolic rate would rise to stay warm. To the navy, such research is far from frivolous. “A cold water study might be looking to determine the lowest temperature our animals could be comfortably exposed to on deployment,” Rothe says. In another study, NMMF researchers administered salt water intravenously to see how dolphins process it. But, like humans, dolphins don’t drink salt water, so it can make them very sick, Marino says, adding that excess seawater can cause life-threatening dehydration and great discomfort. The reason for even doing this experiment is also unclear. “There would be no circumstance in the wild under which they would be drinking it,” Marino says. Aside from the ethics issue, studying dolphins as a medical proxy for humans is pricey. Compared with mice, it’s astronomically more expensive to house a dolphin. Rothe says that while Venn-Watson found the diabetic switch accidentally during an NMMF study, the navy is not actively using dolphins as models for diabetes research. By nature, militaries are secretive, and the full extent of their treatment of animals will never be known. Rector and Bollo point out that navy dolphins sometimes die under mysterious and unexplainable circumstances. They point to NOAA’s Marine Mammal Inventory Report they obtained, which lists more than a few “unusual deaths” of navy dolphins and sea lions—drowning, spinal fracture, head injury, traumatic brain injury associated with wild dolphin interaction, anaphylaxis, toxic shock, and electrolyte imbalance, to name a few. These seemed suspicious, so Rector and Bollo demanded more information, asking for full necropsy reports. But their FOIA requests for full necropsies were denied because they are classified. Rothe explains why: the health records speak to the animals’ readiness or abilities to participate in missions, and that’s not something the navy can disclose. 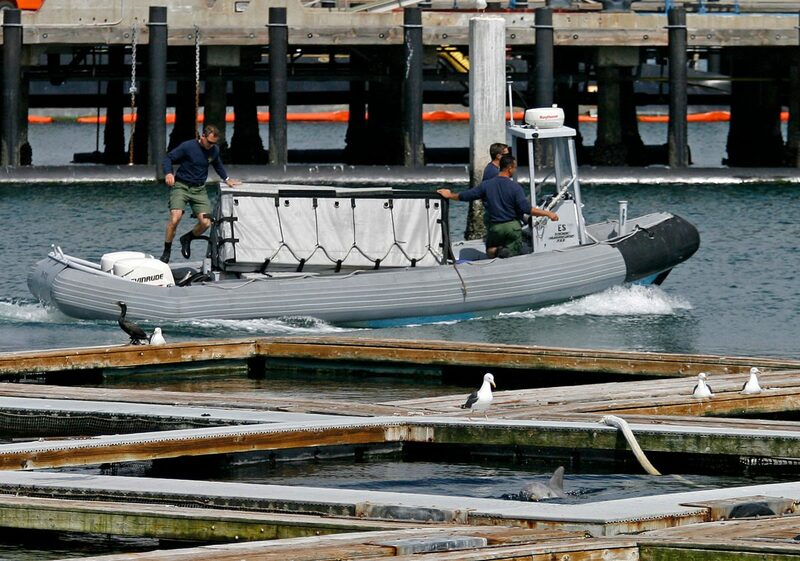 “Just like we wouldn’t turn over the operation and maintenance records of a mine warfare system or a nuclear weapon security system, we can’t turn over the operation and maintenance records of our dolphins and sea lions,” Rothe says. Needless to say, Rector and Bollo reject this answer. Notably, only a few NMMF studies are so aggressive, and, according to another marine mammal expert who spoke on the condition of anonymity (but is firmly against military use of dolphins), the overall navy-funded research is not overly invasive. And in some ways, the navy dolphins are healthier and more fit than dolphins living in aquarium tanks because they routinely go for their walks in the ocean—something that no other facility in North America does. “They work with us in the open sea where they could easily swim away,” Rothe says. “They like their jobs.” He adds that the navy’s dolphins display low levels of cortisol—the stress hormone. Consistently high levels of cortisol can result in illness. But Marino says cortisol measurements can be misleading. Cortisol only peaks during acute stress events like being pursued by a predator. But chronic stress can cause cortisol to continuously circulate in a mammal’s bloodstream at low levels, causing long-term harm such as depression, self-injurious behavior—for example, ramming into concrete tank walls—and overall ill health. For cetaceans, highly social creatures that live in groups and form long-term bonds and attachments, chronic stress can stem from missing family members, lack of social interactions with other dolphins, and being subjected to actions over which they have no control, Marino adds. Rothe points out that all research complies with the standards set by the Association for Assessment and Accreditation of Laboratory Animal Care (AAALAC ) and the Institutional Animal Care and Use Committee (IACUC), two organizations responsible for overseeing that animal research is conducted in a humane fashion. But that doesn’t speak to the issue of using animals for human good, Marino responds. “AAALAC and IACUC, both of those are based upon a premise. 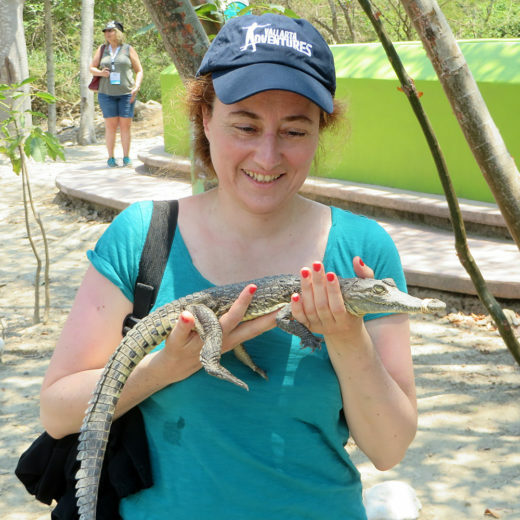 The premise is that animals can and should be used for research,” she says. These organizations check that the researchers comply with the Animal Welfare Act and follow research protocols, but they don’t question whether this research is ethical, moral, or worthwhile. As long as society finds animal research acceptable, and the NMMF researchers and navy personnel believe it’s worthwhile or important to test dolphins’ physiological limits or can justify their research, they are compliant. It doesn’t mean that science has to halt or that the military has to stop doing its job, he clarifies. We may simply have to do some things differently and provide better, fairer treatment for the animals we have in captivity. Still, for the most part, the needle on society’s moral compass relating to other sentient beings moves slowly. And so the battle continues. By the time Bollo filmed Makai in 2017, the dolphin was very sick. Makai had a spinal disease, rendering him unable to swim or maintain an upright position to breathe. After four months of round-the-clock care, when veterinarians were certain the dolphin’s condition was only going to worsen, the navy decided to euthanize him, says Rothe. It just didn’t happen as soon as Bollo deemed necessary. One night in early January 2018, Rector passed away too, while this article was in production. He died in his sleep, his relentless fight against marine mammal captivity coming to a sudden halt. 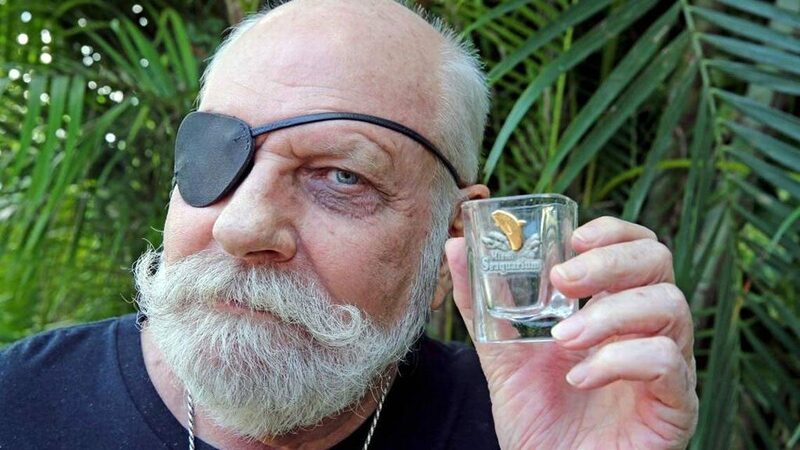 Toward the end of his life, he grew pessimistic and convinced that no captive marine mammals, whether in aquariums or navy docks, will ever go free. “Dolphins in captivity are doomed, you can’t save them,” he said just a few weeks before his death. Fenton is a bit more optimistic. He believes change is possible, but it would take a collective mindset shift. Society as a whole would have to change its view about benefitting from the work of dolphins and other intelligent species: we would have to agree that these animals deserve a bioethical status that’s closer to our own. Humans have achieved similar mindset shifts before, Fenton says. Our ancestors had no problem treating members of other clans or kingdoms harshly or brutally for their personal gains. For much of human history, slavery was acceptable. But in the past century, mankind has made huge progress toward equality. And while people still treat each other abominably, there have been achievements; for example, the creation of the International Criminal Court, which prosecutes individuals for crimes against humanity, war crimes, and genocide. Once we expand a similar ideology toward nonhuman animals, we may reconsider how we mistreat them. “I think it’s possible,” Fenton says. Cite this Article: Lina Zeldovich “The Great Dolphin Dilemma,” Hakai Magazine, Feb 5, 2019, accessed April 26th, 2019, https://www.hakaimagazine.com/features/the-great-dolphin-dilemma/. The US military finds a surprising adversary on a small, strategic island in the East China Sea.